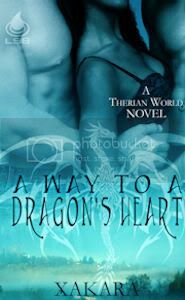 Today I got the official confirmation on my Halloween Day release date for A Way To A Dragon's Heart. Yay! So today I bring you 13(ish) paragraphs from AWTADH, (not counting single line dialogue or short descrip as always). Kryssa Drake gritted her teeth and counted to five. What she wanted to do was get scaly, and big, and stuff, and eat the annoying young woman following her around the office loft, but Human Resources had warned her about doing that again. Not that she’d actually eaten the other temps, but the way that last one had hollered you’d have thought she had him half swallowed when security showed up. It’s what they got for sending irritating, yet crunchy and salty-good humans during her period. It was a conspiracy. Firmly ignoring the too-cute, too-blond, too-perky Barbie clone, Kryssa continued the tour to the break room, explaining the shelving and territorial marking of foodstuffs. 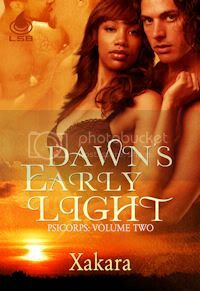 Just when she thought the dedicated over-talking of the girl had imparted a clue to the temp, it—she—took Kryssa’s arm. She gave a slow blink as she looked at the girl. Taking that extra breath before speaking, just like they’d taught in anger management, Kryssa tucked a glossy black spiral curl behind her ear and sighed. The bubbly twit smiled, tilted her head, and gave an affectionate squeeze, confirming the suspicion she had indeed originated from the head cheerleading rung of hell. Kryssa stared at the porcelain hand on her arm. It stood out against skin the color of gingersnaps, its paleness making it seem delicate and outright fragile. With that in mind, along with a clenched jaw, mental counting exercise, and thoughts of sitting through yet another Anger Management and You course, Kryssa managed not to crush the thin wrist as she removed the offensive touch. And hot-tempered and just plain hot when in a thriving environment, but that was neither here or there. Kryssa needed something to calm her nerves before she forgot herself and a simple orientation became a full-blown situation. A quick rooting through the fridge produced a large tub of raw vegetables. Almost before the top was fully off, several baby carrots disappeared into her mouth. “Ooo, you eat vegetables too?” A slow continual nodding of the head followed the question, a trait that took the temp all morning whenever something challenged her to think too hard. Kryssa crunched louder and groaned. “We’re omnivores, you idiot.” The last two words came out a mumbled wreck that bought her a little extra time for decorum. Broccoli florets, raw cauliflower, and more carrots disappeared in the hundred yard dash to a neutral corner. An open concept conference room became her refuge as she ducked through the glass double doors and hopped up on the conference table. She considered the meeting going on at the time just a minor inconvenience she could generously overlook. She looked to the company’s CEO and shook her head. The handsome, regal, professional air collapsed in on itself as he looked at her. She reached up and brushed a dark lock of hair from his forehead. It was the same glossy jet black, but had the barest wave to it, unlike the tight curls pinned back off her face and spilling down her back. She couldn’t help but smile at the face, several shades lighter with its olive hue, yet otherwise incredibly similar to her own. Wow, that's pretty intriguing. Great concept, dragon-as-human. Congratulations on the publication date! What a fun scene. Thanks for sharing, and for visiting! What I want to know is why they heck she bothers with the temps when she could foist them off on an underling. Great excerpt. I love the writing and would love to know more. That is one amazing sentence! Oooh AWESOME!!!!!!!! I can't wait to read more. Congrats on the release! Looks like a fun read! the right touch of humor in an excerpt. LOL! Sounds pretty darn engaging! It certainly makes one want to read on.